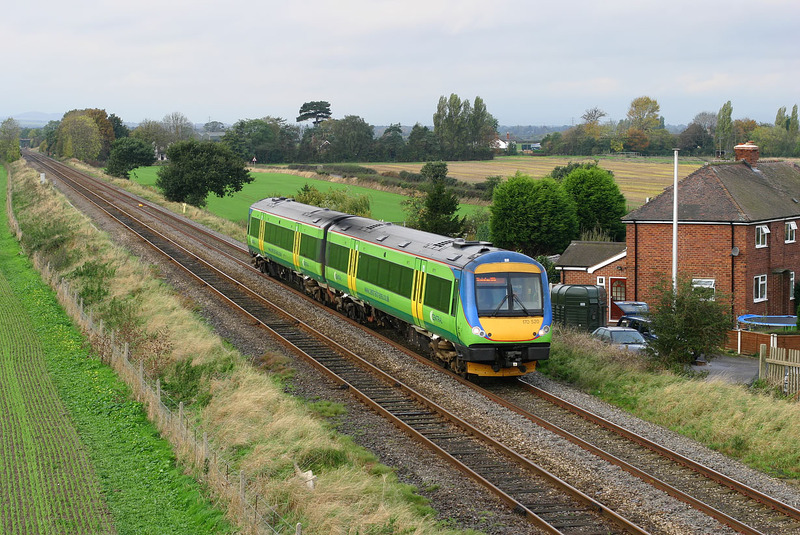 Central Trains 170520 passes Walcot with the 09:54 Shrewsbury to Lincoln service on 29 October 2005. The photo is taken from a farm occupation bridge, which is next to a short cul-de-sac of brick built houses, the last of which is visible on the right. This seems strangely out of place situated in the middle of nowhere. Walcot station (closed in 1964) was situated by the bridge that can just be seen in the background.